​Raised like a child, studied as an experiment and returned to captivity when his animal instincts surfaced, Nim Chimpsky lived a life that was as exceptional as it was heart-wrenching. ​From the Oscar®-winning team behind “Man on Wire,” PROJECT NIM tells the story of the chimpanzee who was the focus of a landmark experiment to show that an ape could learn to communicate with language if raised and nurtured like a human child. Combining recent testimony from key participants with dramatic imagery and newly discovered archival film from the 1970s, the feature documentary follows Nim’s extraordinary journey through human society, chronicling his enduring impact on the people he meets. 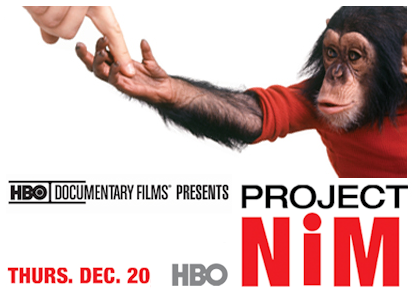 ​Winner of the World Cinema Documentary Directing Award at the 2011 Sundance Film Festival, PROJECT NIM debuts THURSDAY, DEC. 20 on HBO. 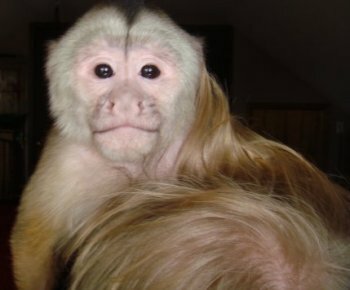 By now Benji, our capuchin, is about 1 year and 8 months old. A week and a half ago, I found out that a new exotic animal stored opened up relatively close to where we live. I was told they had monkeys there so needless to say I had no choice but to visit this store right away over my lunch break. While not for sale (no longer legal in Illinois), they had 4 java’s, 2 common marmosets, and a lemur. They also had a lot of lizards, a turtle that was “running” around loose and 2 kinkajous. I talked to the owners for a while and found out that they encourage people to bring in their pets. 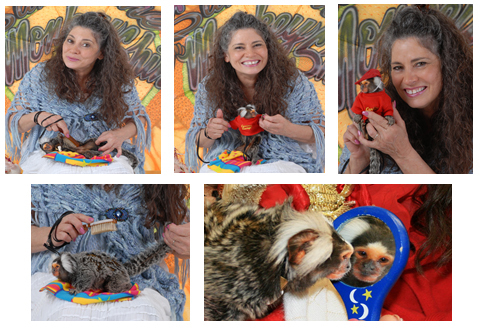 I told them I had never taken Benji, our capuchin, to any store and was looking forward to come back with him and my wife. The week couldn’t go fast enough and on Sunday we finally went with Benji to “Paws, Claws & Exotics too”, the name of this exotic animal store. This was actually the first time that Benji would have the opportunity to interact with similar species so I couldn’t wait to see how he would react. As a matter of fact, I had never taken Benji to any store, so this was truly a new experience for both of us. it’s Motherday today so mission number one today is to make sure Pami, my wife, has all the peace she deserves. Benji is therefore going to spent the entire day with his monkey dad. Right now he’s up in our bedroom together with me, jumping from my shoulders to the bed and the dresser. He’s leaping 7 feet with ease with these jumps and does it at a speed most people without monkeys would not be able to comprehend. Remember how Benji used to have nose bleeds? That stopped a few months ago. We used humidifiers for a while but that didn’t really seem to make that much of a difference. I guess the nosebleeds just slowly went away. We’ve had Benji for several days now. The first few days he would just lie in my arms and cuddle but now he’s definitely started to become much more active. While he is still very attached to me and my wife, he isn’t as scared to jump from my chair to the couch and back. He won’t do it often yet but … he is started to explore a bit more. I set my alarm clock so I would wake up 15 minutes earlier. These extra 15 minutes should allow me to make him a bottle, cut up some fruit, and change his diaper. I also have to feed our raccoon who still likes to get a tray of kitten milk with cereal but I have already been doing that for months so that doesn’t require any additional time. I’m one of those people who hates to get up early so everything is very much calculate in the morning so I can sleep as long as possible. Everything didn’t go as smoothly as I was hoping for. Changing the diaper was a major challenge so I left a few minutes late. I decided to drive a little faster than normal which made sure still arrived at work in time. I was so surprised when I walked towards my office. We’re ready to go to the exotic animal auction. For the last few weeks I’ve been working really hard building on indoor enclosure in our house. My wife was nice enough to give up her office space which allowed me to build a rather large monkey room in our house. For once I really wanted to be prepared. The indoor enclosure was huge for the pair of marmosets we were about to buy. It took us 3 ½ hours to get to the exotic animal auction. 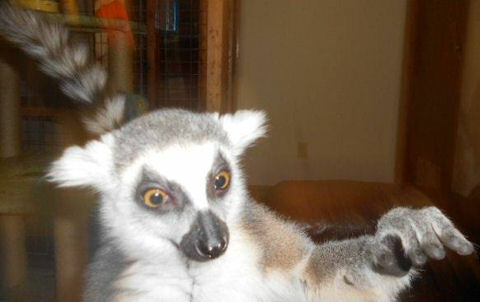 I’m not all that crazy about these auctions but the fact remains that you can really purchase exotic animals at a much lower price. I haven’t been this nervous in a long time because purchasing a primate is a big deal. Next up are the marmosets. For once they have a rather large collection of marmosets for sale. Suddenly doubt sets in.